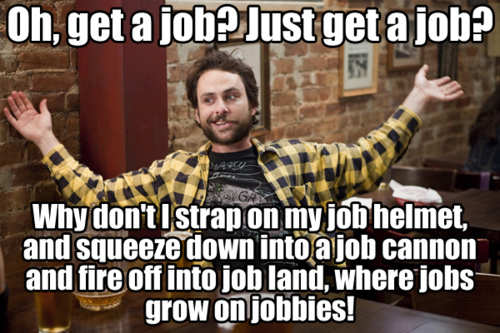 It has been several months since my last post, but I have (what I think is) a reasonable excuse: I’ve been trying to get a job. The demanding mantra endlessly looping in my brain for the last six months was, “Get a job, Ken!” Applying for chemistry faculty positions at R1 institutions has been a trial both scientifically and emotionally, especially since the likelihood of landing such a job is increasingly the exception rather than the norm. I’ve very glad my search is over and I humbly and yet happily share that I will be starting as an assistant professor at Florida State University in the fall (August 2013). Reflecting on the job search, I found that there were very few resources that helped me understand what to expect beforehand. This is probably especially true for someone like me who did not come from institutions more traditionally known for producing professors, like Cal Tech, MIT, and Berkeley. I did not spend my undergraduate and graduate years observing and learning from older coworkers/friends going through the faculty job search process before me. To my surprise, I also found little online about the chemistry faculty job search and what makes it different from other job searches. Instead, I spent a lot of time gleaning hints and tips from coworkers, advisors, professors and anyone that would answer my questions. Hoping to help those entering the search after me, while also building on previous blog posts where I share advice for new graduate students and post-doc position seekers, my next series of blog posts will outline my faculty job search experience. Most of the advice I’ll share is based on my own anecdotal experiences or the stories I’ve heard from others. These experiences vary widely and, when preparing for your own job search, I encourage job seekers to consult with as many people as possible and load-up on advice. I also hope others will share more in the comment section. Another thing to note is that my experience was specifically with faculty positions relating to materials, inorganic, and any energy related research. Yet, even with this emphasis, it’s possible that many of the suggestions are still applicable to primarily undergrad or even an industry job-seeker. And I’m sure your advice will be gratefully received. Thanks for sharing useful information. Keep it up.